I've used Precision Overhead Garage Door service before and was pleased with their work. This time was no different. Shane responded within 1 hour of my call. He quickly diagnosed the problem and offered me several options to make repair. I'm truly impressed by the integrity, knowledge and skill of the Precision technicians that we've had the pleasure of getting to know. 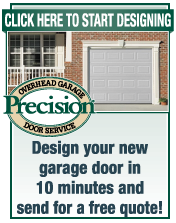 I would highly recommend Precision whenever you might have issues with your garage door. Honest, Skilled and Reasonably Priced. Andrew was a very polite, knowledgeable person. He arrived on time and worked rapidly. He explained everything as he performed his work. I would highly recommend him for anyone looking for similar work. I called yesterday, Matthew showed up today and it was done within an hour or so. Great service, and a much quieter garage door opener. My existing opener was installed in 1993 so it was beyond fixable...no surprise there. Along with the garage door opener, he also replaced rollers and springs and other things I don't remember. Tommy replaced what we knew to be a worn out motor, key pad and remotes. He was honest, seasoned and efficient. We now have a system so quiet and smooth. We couldn’t be happier! Having problems with garage door opining and closing on its own...called & was told someone could come out between 3 - 7...a little before 3:00 got a call saying they were on their way. Matt cipolla arrived, introduced himself..looked at door and all that went with it....we talked about options..he was very respectful, knowledgeable,pleasant. I chose to go with repair, he was able to do it same day....quality work.....explained what he had done and how to get used to it.....did not talk to me as though,because I am a woman, that I knew nothing about garage doors! totally recommend him and Precision!! It was a pleasure to see that a company really lives up to truth in advertising. 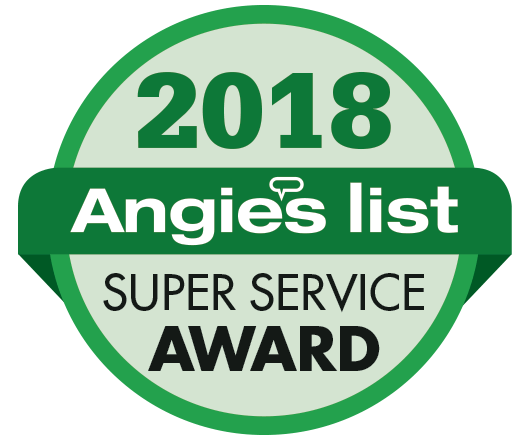 The service was just like your commercial, friendly service tech (Shane Tremaine) was awesome! We have always used Precision Garage Door Service for our garage door needs. On Wednesday I came home in the afternoon, and after shutting the garage door, the spring broke. I called Precision Door and within two hours Chris was here and replaced the spring. He was very professional and courteous and represents the company well. I would highly recommend Precision Garage Door Service for all garage door repairs. The Garage door is working awesome, we are very happy with the work done by your repairman. I have forwarded your info to a few people including my realtor friends. Thank you yours truly David Franceschini! Hi! We thought we just needed a routine tune up, but we ended up needing very extensive work - actually, almost everything but the actual garage door! I couldn't even include the services on the list below, they were too many! We were very fortunate to have Arnold Simpson as our technician. He was knowledgeable, efficient, more than fair and so pleasant! Even though it ended up costing us far more than we had hoped, with so many services needed, Mr. Simpson made the experience far more pleasant than we could have hoped. We would recommend him highly. He is an asset to your company. The tech arrived at the promised time. He was courteous, thorough in explaining the problem and the repair options and cost. He fixed the problem quickly and efficiently . I will definitely, use them again should a problem arise. Great service!!! Thank you for the quick response. Definitely will use Your company again. I had a superior customer experience . The technician was very knowledgeable and helpful and completed the work expertly and quickly. Thank you! Precision has come out promptly 4 times to repair the opener they installed for various malfunctions. The service has been excellent and without cost to me. However, I must question the quality of the original system with this many repairs. Today, they replaced the opener. The previous trips it was the sensor. Technician Brian was thorough with his work and explained his repair work to me during and after he finished. His recommendations made sense and I agreed to them. He explained and showed me his recommended care and routine lubrication that he advised for me to do. I enjoyed having conversation with him about working for Precision and his golf game. Your invoice shows some red fail indicators. Are they in the pass column as a result of Brian's work? Please let me know. Thank you for recognizing my military service with a discount. I will refer Precision to others and select Precision if I have any more garage door issues. Thank you. Tommy, did a great job. He was professional and very personable. PRECISION was recommended by a friend - I certainly would rate your service and employee 5 Stars. I have used Precision in the past and was satisfied with my service. This occasion, I was more than satisfied. The company representative was professional, knowledgeable and pleasant to work with. He completed the work timely and assisted me in setting up the app needed to use my new feature. How refreshing in this day and age. Want to say that Andrew is a very professional and experience individual. He was very knowledgeable of his profession. All and all it was an outstanding job. excellent service... the appointment online process was super simple to use. less than 24 hrs. I received a very courteous call by the company rep securing the appointment that best suited me and a follow-up call to inform me of an earlier available appointment, which I took. 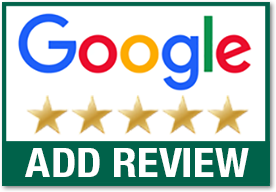 The Tech (Keith) arrived on time, was very professional in reviewing my options of repairs, was very knowledgeable of the system I owned and the rep performed the replacement of springs quickly and left the workplace clean. Would recommend this company to my friends... KUDOS to your professionalizim and a big Thanks for a job well done!